The International Vasa Previa Foundation aims to eliminate infant death from vasa previa by raising awareness and providing evidence-based information to the general public and health care professionals about the detection and management of this potentially fatal obstetric condition. Our goal is to eliminate infant death from vasa previa. WHAT DOES TYPE I VASA PREVIA LOOK LIKE? 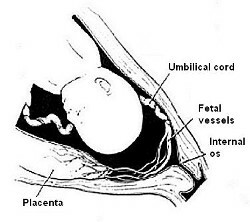 Type I vasa previa occurs when one or more of the baby's placental or umbilical blood vessels cross the entrance to the birth canal beneath the baby. When the cervix dilates or the membranes rupture, the unprotected vessels can tear, causing rapid fetal hemorrhage. When the baby drops into the pelvis, the vessels can be compressed, compromising the baby's blood oxygen supply and causing oxygen deprivation. I am a VP Survivor! 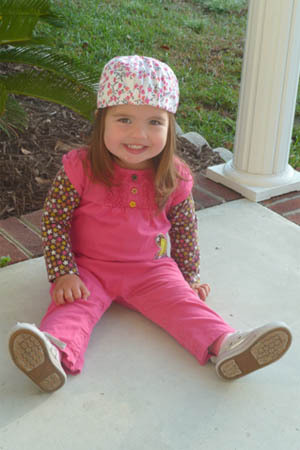 Caitlyn Makayla Scharf was born on March 1st, 2010. Please read important recommendations from the IVPF. Have you experienced vasa previa? Help important research by filling out this questionnaire! Join the IVPF to help spread awareness across the globe.